This is where you can find all the latest news and documentation about ArchStudio, as well as downloads and an active community. Newcomers: Can learn more about ArchStudio. Anyone: Can download and install ArchStudio as a binary distribution. Interested Parties: Should subscribe to one or more ArchStudio mailing lists. Developers: Can checkout and build the entire environment from source. 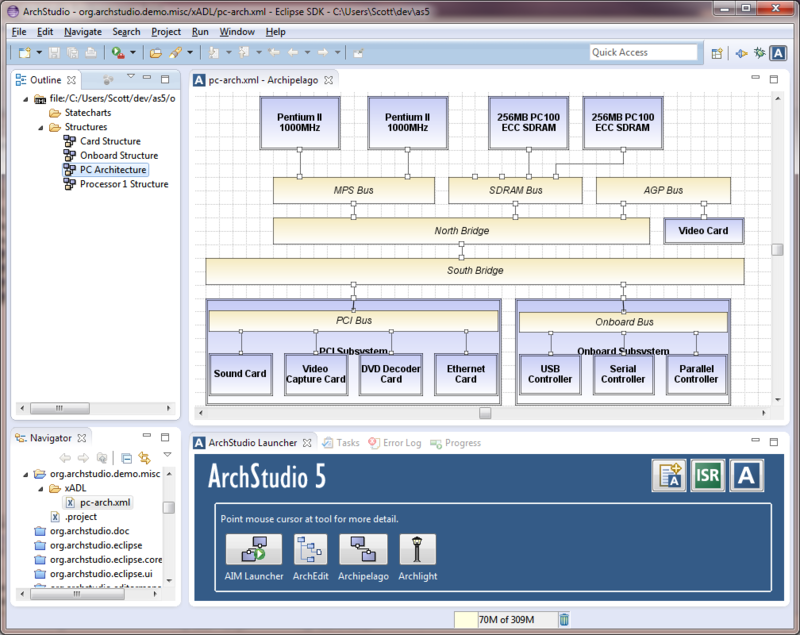 A screenshot of ArchStudio showing a hierarchical architecture in the Archipelago graphical editor.